The Read-A-Thon deadline to turn in logs and money has been extended until THIS WEDNESDAY 4.15. Let's get more turned in to help fund the AR program. Do you know a Brooks Global parent, grandparent, or other PTA member who would make a great PTA leader? Do you have interests or skills that could benefit the students of Brooks Global Studies? Do you want to be more involved with the school and make a difference? The Brooks Global PTA Nominating Committee is accepting nominations for the 2015-2016 Brooks Global PTA Board of Directors. If you are interested in a position for next year, please send your name, child's name and teacher, contact information, and position in which you are interested to Rosylin Totten, i1agape@yahoo.com, 681-2427 (home), or 509-7649 (cell) by Thursday, April 30. If you know other PTA members who would make great leaders, please send their information. The Nominating Committee will contact them to determine if they are interested in a position. If you have any questions, please do not hesitate to ask. If you want to volunteer for a committee but you don't want to be the chair, let us know! All committees need volunteers. Guilford County Schools seeks your input in helping to select our new principal. This survey link will be available until end of day April 16. Click on https://docs.google.com/forms/d/1QangVg2QZdv72q-8WzNUeoNcf0LPHO0vHgBMY-JBaZY/viewform to access the survey. Hard copies of this survey will also be available in the Brooks Global Studies Office. 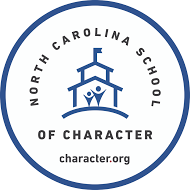 If you have questions about accessing the survey, please contact Mrs. Pinyan at pinyans@gcsnc.com. The Global Leadership Team needs help from the PTA to get volunteers for our Water Festival on April 22nd from 8 to 11 am. We are in need of volunteers for our Water Festival! Students will learn about water as a natural resource in interactive, engaging ways. We need help running stations and helping students rotate groups. All volunteers will be provided any materials and information necessary to run their station prior to the Water Festival. AR Store is this Friday and we would love to see some parents come out to volunteer their time encouraging our readers and helping them pick prizes. The times are 8am-1pm. If you have any new or unopened small toys/trinkets/party favors, we are happy to take those off your hands. Please send them to the Media Center marked AR Store and Mrs. Pinyan will get them to me.